I have been updating my daughters room, and new curtains were a must. 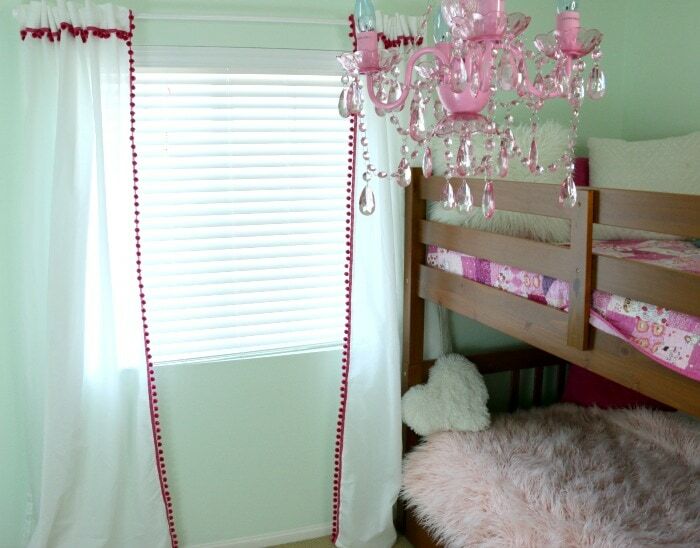 I wanted simple white curtains that I could embellish with some fun trim – Pom Pom Curtains! 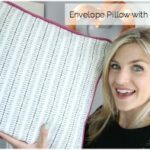 In the video, I show you a sew and no sew option since were both were totally doable with this easy design. Can I just say that having a daughter into girly stuff is so much fun!! We have been having a blast working on this together. 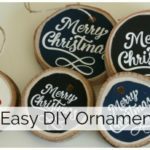 If you don’t want to sew or don’t have a sewing machine, try these products to attach your trim of choice. Stitch witchery or any sort of fusible web. It does NOT need to be sewable if you don’t plan on sewing over it. 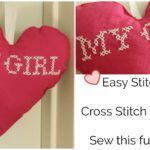 Some of them help adhere while you sew, so they need to be good with sewing machines but that is not necessary for this step. Go to your local craft store or get your pom pom trim on Amazon for a great price! 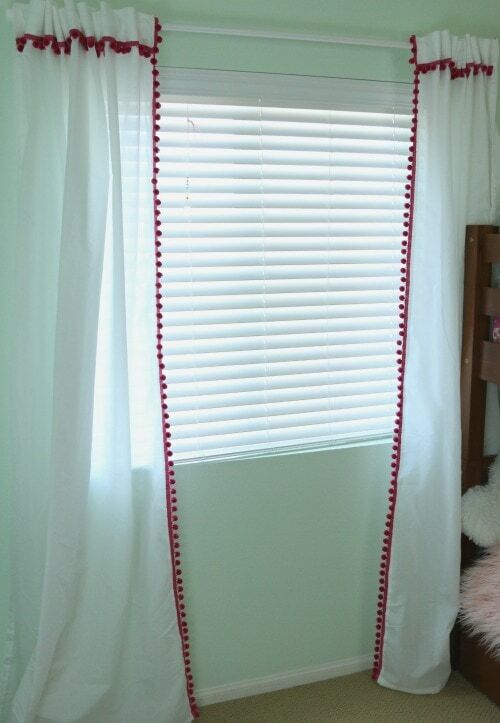 1.Measure across the width and length of each panel of curtain so that you can figure out how much trim to purchase. I used pom pom trim, but feel free to use this method with any other type of trim or ribbon. 2. Cut the right size for the width and length and pin into place. 3. Thread your machine with the coordinating thread color and sew into place on the top edge and bottom edge of the trim. 4. Back stitch at the beginning and the end. Pretty easy right? I also made her a crochet rug in this room, you can find that tutorial here!